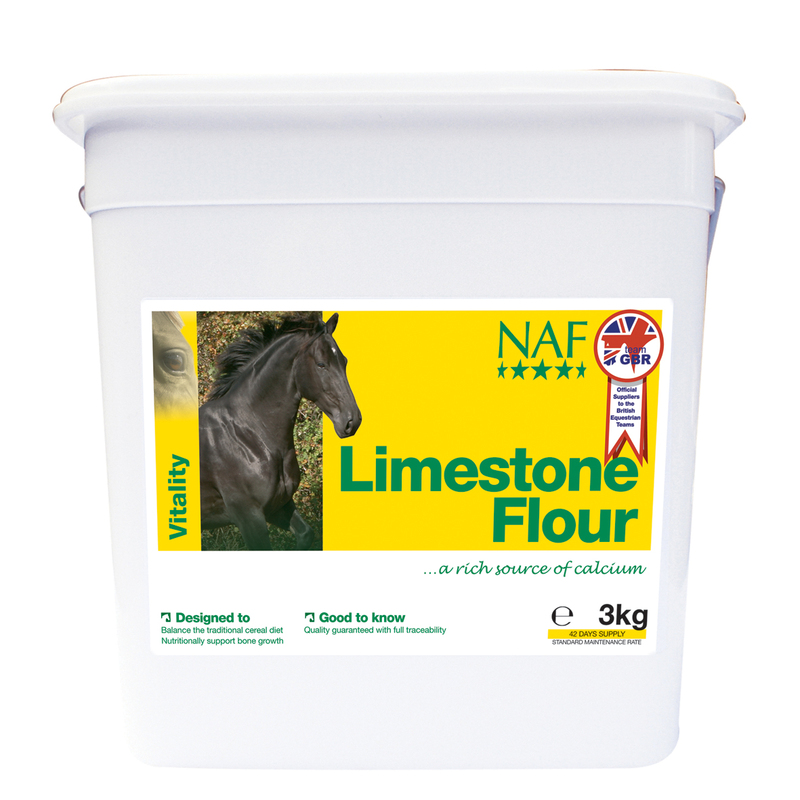 NAF Limestone Flour is a rich source of calcium. It is recommended for lactating mares or horses being fed a cereal based diet, particularly those including bran, in order to correct the calcium to phosphorous ratio. Not recommended to be fed to youngstock, as excess calcium can contribute to developing conditions such as OCD (Osteochondrosis dissecans). Feeding Instructions Horses- Give 140g daily to lactating mares - Give 70g daily as maintenance to normal horses Ponies- Give 70g daily to lactating mares - Give 35g daily as maintenance to normal 3kg will last a horse up to 42 days (based on 70g daily) & a pony up to 85 days (based on 35g daily) 15 kg will last a horse up to 214 days (based on 70g daily) & a pony up to 428 days (based on 35g daily). NAF is part of the BETA NOPS scheme.